At our orthodontic practice, we're always looking for ways to give our patients more comfort, more confidence, and more reasons to smile! We're very pleased to offer the Clarity Advanced Appliance System to all of our patients needing braces. Clarity Advanced braces provide an advanced and aesthetic alternative to traditional metal braces, allowing you to smile, even during orthodontic treatment! Clarity Advanced braces provide a safe, effective, and virtually pain-free way to correct your smile and achieve the results that you want. With Clarity Advanced braces you can experience the benefits of a straighter smile in less time than with traditional metal braces, and with more comfort during your treatment. Clarity Advanced braces treatment starts with you! A complimentary consultation with our doctor can help you determine if Clarity Advanced braces are the best treatment choice for your smile. Clarity Advanced braces are a choice you can feel good about. They use the latest technology, so that they work fast and look good. 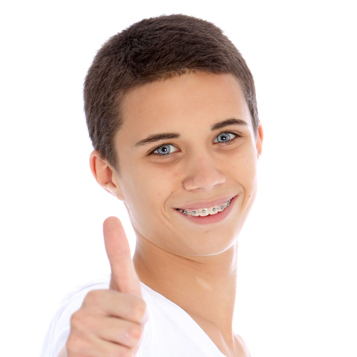 What do Clarity Advanced Braces provide? If you are interested in learning more about Clarity Advanced Braces, please contact our office and request a FREE orthodontic Clarity Advanced braces consultation.